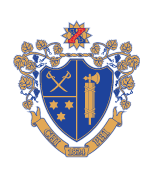 The Men of 1824 is an exclusive group of undergraduate Brothers and recent Alumni who share a long-term vision and commitment to Chi Phi. Membership is reserved for undergraduates and Alumni who graduated during the last five years. Through their gifts of $25 or more, these undergraduate and young Alumni leaders make a statement to the world that they believe in the future of Chi Phi and are willing to contribute to make that future bright. By pledging $25 or more for only 1 to 5 years, you are showing your support for your Chapter Excellence Fund, Scholarships, UIFI, Alpha’s Academy, College of Excellence, and Regional Leadership Alliances, as well as Chapter visits, and webinar training. You also receive many benefits such as: a 2016 Men of 1824 lapel pin, recognition at National events, being recognized on social media, receive special Trust announcements as well as an invitation to the Trust dinner at Congress. contact Director of Development John Fisher at 404.231.1824 or fisher@chiphi.org. You can also visit chiphicampaign.com/donate to join online.